Programmatic is a very common term being thrown around in the world of AdTech and MarTech a lot these days. With context to the industry, this means the same thing as its literal definition; where all the processes are automated and need no manual intervention. This opens up doors to new possibilities and pushing the limits. With greater computing power and the right Ad serving solutions, there is virtually very less limitation to what you can do with the technology. 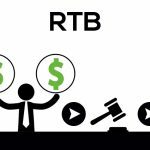 RTB – Real Time Bidding, what goes on backstage? As the name suggests, the entire process of auctioning for an ad space happens in a ridiculously short amount of time and also millions of times in a day. This kind of speed and performance is mindboggling and would never ever be possible if it was done manually. RTB speculates the display inventory to be bought by the individual and unique impression through an effective bidding system. As mentioned earlier, the entire process unfolds in a matter of milliseconds before a webpage could be loaded or reloaded by a viewer. The cost-efficient and targeting possibilities on offer with RTB make it a revolutionary force to be reckoned with in all of Adtech. For instance, when a viewer intends to access any website page when the page loads on his/her browser, an immediate request would be passed on to an ad exchange. Here in the ad exchange the ad inventory or ad slots would be available along with the data about the viewer from his past interaction saved on cookies or third-party data like their interests, location, gender, nationality, online behaviour, and more. Advertisers who are interested in targeting to the intended set of users will then take part in the auction to win the privilege to serve their creatives. The advertiser who has won the bid would then serve their creative to the viewer when the complete webpage loads. Keep in mind that all these happen in a matter of milliseconds. A naïve user might be lead into thinking that both RTB and programmatic advertisings are one and the same. But that is not the case; when we observed you’d be able to spot the subtle differences that prove that they are different from the significant other. In layman terms, RTB is a technology wherein it creates a common space for both ad inventory and campaigns to bid and sell; Whereas Programmatic is nothing but an automated method used for ad buying. 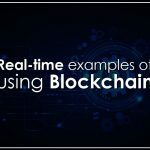 Advertisements are commonly distributed using a platform called ad server and when the platform is integrated with RTB network, it can buy or sell the ads from third-party ad exchanges. 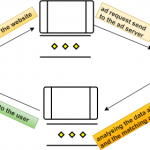 The programmatic advertising also implies the same process of enabling the RTB techniques in both advertiser and publisher side to perform automated buying and selling of digital advertisements. 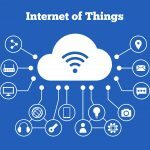 The method is followed using a platform called DSP which has advertiser ads and campaign details of created advertisements. The promoters can bid on the selective ads and purchase it from online ad exchanges. Experts say that a considerable volume of Ad serving worldwide would adopt Programmatic in a couple of years. Why should you miss out? The SSP (Supply Side Platform) technique allows publishers to sell their ad inventories through the ad exchanges. This process of advertising benefits the users to advertise efficiently at the right price and at the right time. The importance of choosing a programmatic advertising platform is it can enhance the business development of an organization or a team business. As a leading provider of advertising technologies, we assist our clients in step by step development of a programmatic ad serving platform. Our consulting process is widely categorized as requirement gathering, planning, and determining the right ad exchange, stages of development and product maintenance. Requirements gathering: We collect the necessary requirements from customers to develop a required platform. All the requirements are furnished based on the improvement of project management and customer revenue. Planning: The developers are involved in creating an outline of the project and in analyzing the structure of the platform development. 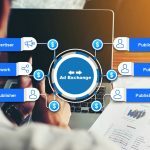 Determining the right ad exchange: An ad exchange assists in buying or selling of digital ad inventories across multiple ad networks. To integrate an ad exchange, we analyze our client business requirements and identify a suitable third party ad exchange platform and integrate with the programmatic ad server. Stages of development: The project development involves designing, coding, implementation, testing, and maintenance. In all steps, the professional developers are involved in producing an expected output. Our clients are updated at regular intervals to understand the progress of the ad server development. Product maintenance: The maintenance is performed before and after the stages of product delivery. We assist our clients in accessing the platform and to progress their required task. Our manuals and user guides will aid the users to access the functions faster and perform the process. We are ready to offer paid support for our clients even after the delivery.